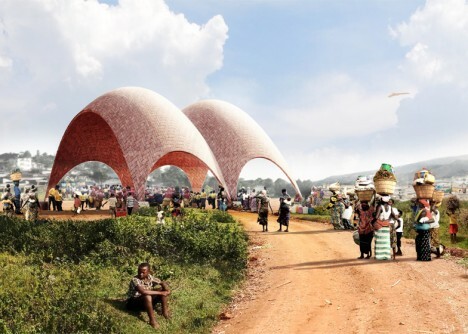 This architect-designed drone airport will be the first of its kind, created to facilitate an unmanned aerial vehicle supply chain servicing remote areas of Africa, addressing urgent medical and other ongoing needs. Just as much of the continent skipped landlines and went straight to mobile phones, this strategy could jump steps in the development of infrastructure for delivering for physical goods. 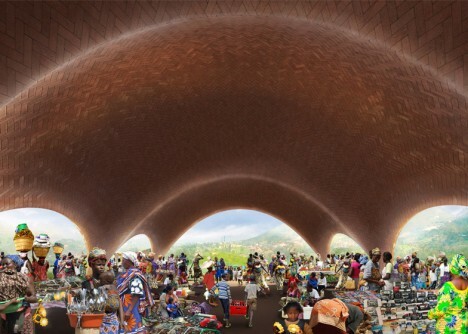 Developed by Afrotech in collaboration with Foster + Partners, work is set to begin next year with a pilot program completed by 2020. 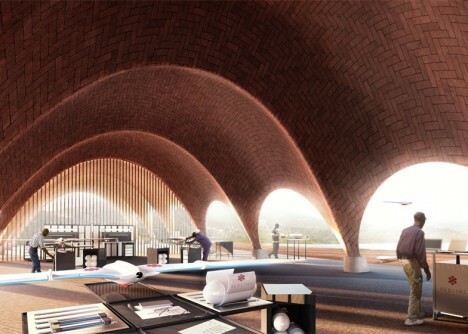 The vaulted brick structure will have spaces for drone building and repair as well as packaging, shipping and storage of goods both medical and otherwise. 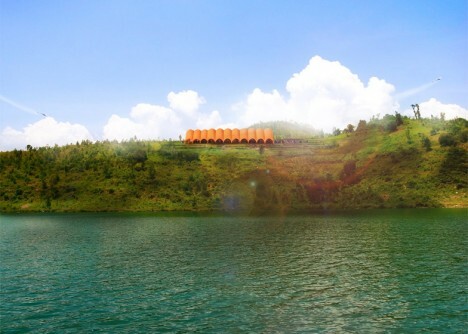 The architecture is intentionally open, simple and able to be constructed with local materials and labor. 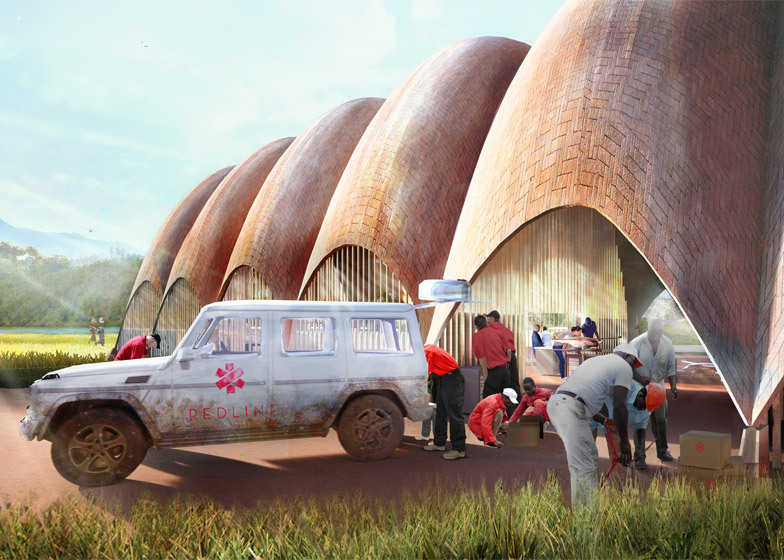 Two systems will function simultaneously to provide emergency and ongoing supplies, respectively. The Redline will include small situation-specific drones that can serve targeted emergency needs, carrying over 20 pounds. Larger 200-pound-capacity Blueline drones will manage more sizable shipments of less urgent supplies. 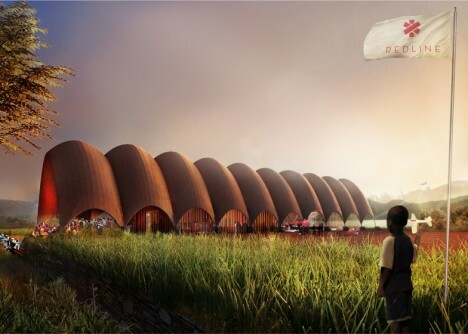 “The Droneport offers a new typology for a building which we hope will grow into a ubiquitous presence, much like petrol stations have become dispersed infrastructure for road traffic,” acting as a network of stopping, refueling and repair stations. 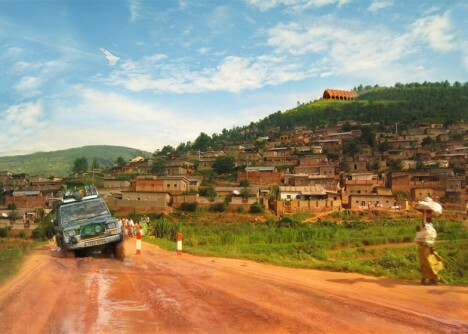 Currently, only a small percentage of the African population lives within a mile of year-round accessible roads, while UAVs from the Droneport will be able to more quickly, easily, safely and reliably access nearly half of Rwanda’s citizens.